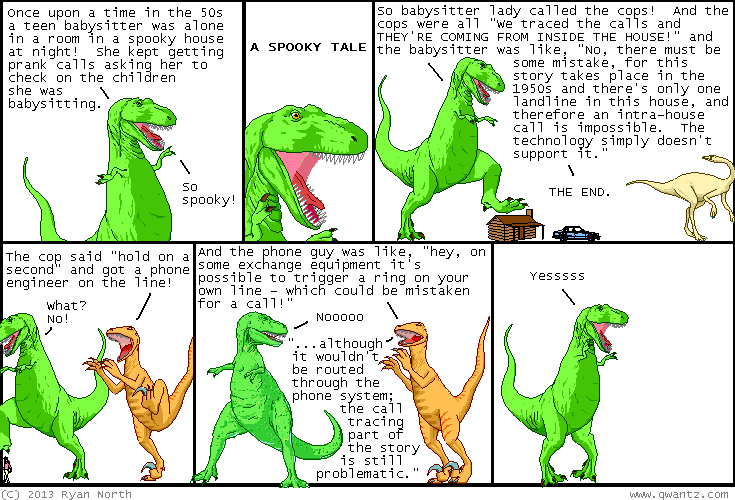 Dinosaur Comics - October 14th, 2013 - awesome fun times! –I speak, of course, of love! October 14th, 2013: I am still in NYC and so far in NYC I have eaten eight NO WAIT NINE distinct kinds of sausages in a single sitting. New York City! It's pretty great! One year ago today: YOU'RE CALLING ME OUT, THE MAN WHO BROUGHT THEM ARTICLE DECLENSIONS TO ENGLISH? ?